Exotik Latin joined our Mission to help provide access to “Clean Water for All by 2030”. This Mission was initiated by the United Nations. A big thank you to Exotik Latin’s team and customers for joining this extremely important mission on 28 December 2017. We are a Latin cafe & restaurant that brings an ideal atmosphere for spending one's leisure time while delighting in coffee, food and events. 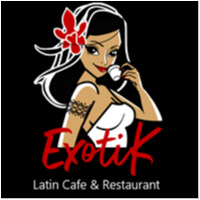 ExotiK was inspired by the South American beauty and exoticism of its culture and food. It brings an ideal atmosphere for spending one's leisure time while delighting in fantastic South American cuisine, music performances and social networking events. ExotiK is a place where eating out will be an experience.